Born in Beltsville, Maryland, Maggie first caught the acting bug when she was four years old, as a stand in for Gretel in The Sound of Music. She performed vaudeville in San Diego, California for two years. She has performed in numerous shows, including the last production of The Passion Play at the Saint Augustine Ampitheatre before its redesign. In addition to reenacting, she's a singer/songwriter with hundreds of songs and a jewelry designer. She plays a variety of instruments, including piano, bahdran, harmonica, and guitar. She is now a writer, and director and co-founder of Double Trouble Theatre. 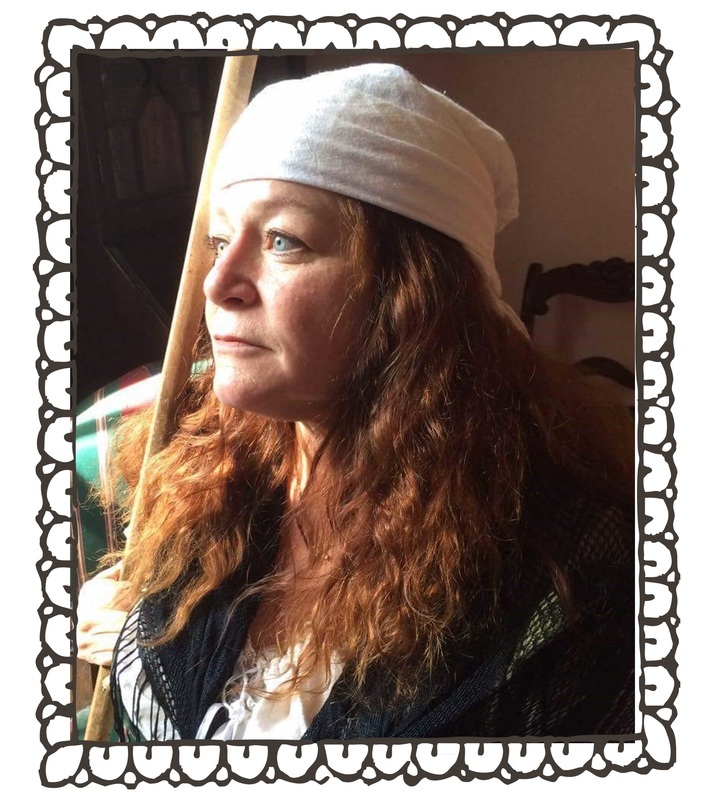 As a historical dramatist, Dianne has written and performs a number of one woman dramas including The Three Mrs. Flaglers, Anne Bonney: Queen of the Pirates, Martha Jane Pacetti: Tales of Old Florida, Christmas with Mrs. Flagler and Haunted Theatre: the Last Act. She also performs dinner theatre and mystery theatre as well as makes appearances in historical films, educational videos, and PBS documentaries. Dianne lectures, performs and coordinates Stetson University’s Historical St. Augustine’s Road Scholar programs. As a historical re-enactor, she interprets personas from the 1500’s through the Victorian Gilded Age. She is a founding member of St. George Players and Double Trouble Theatre Company. the bug and has been doing theatre ever since. ​ ​Born and raised in Pennsylvania, Connie graduated and worked as a nurse in Harrisburg for 44 years. After retiring in January 2016, she moved to Saint Augustine where she has visited her brother and sister in law yearly for 12 years. Her love of photography has provided photos for the troupe. Connie enjoys the beach and warm weather that St. Augustine has to offer. Although new to the company, her talent on wind instruments is a welcome addition. Whether its drumming the 18th century troops or dancing in the Nutcracker ballet, theatre and music have been a part of Mark’s life since childhood. Mark has performed in a number of historical and educational films, including a documentary for El Morro Spanish fortress in Puerto Rico. He has reenacted up and down the eastern seaboard in a variety of time periods from the 1400s to the 1800s. He starred in the original drama “Jesse Fish : Savior or Scoundrel”. A founding member of Double Trouble Theatre Company, he performs as St. George in Maggie’s Mummers and in “Haunted Theatre : the Last Act”. A Flagler graduate, Mark’s careers have taken him into business and management, the hospitality field and the health care field. 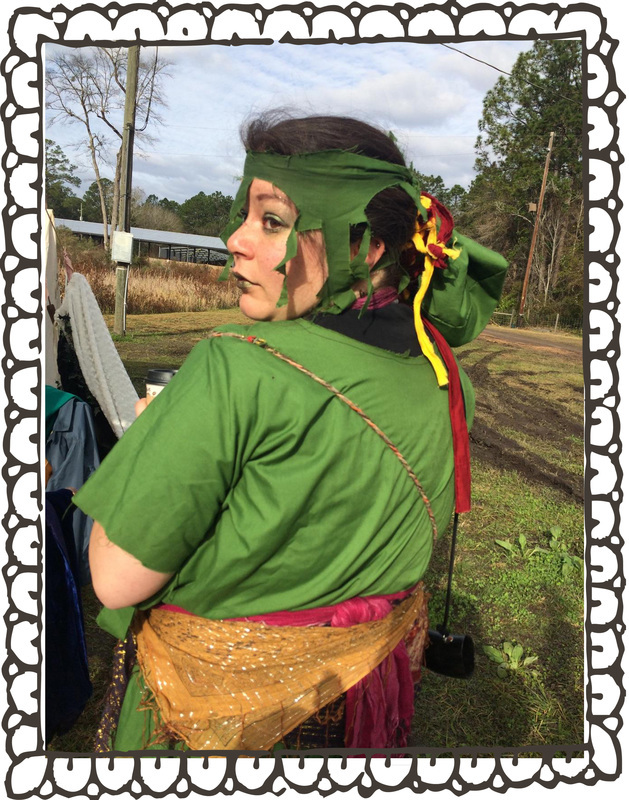 Amber has performed in a variety of shows, including Haunted Theatre, Victorian appearances, and as the dragon in Maggie's Mummers. Amber graduated from Flagler College with a degree in Public History. Lily has performed in many shows, including Haunted Theatre. She was an Irish dancer and participated in many feiseanna, which are Irish dancing competitions. She currently attends Pedro Menendez high school.